Haven’t you always wanted to bring your class on a field trip to a pirate ship? How about to a treehouse? How about if they could also build skills, get tons of one-on-one support, and publish their writing in the process? 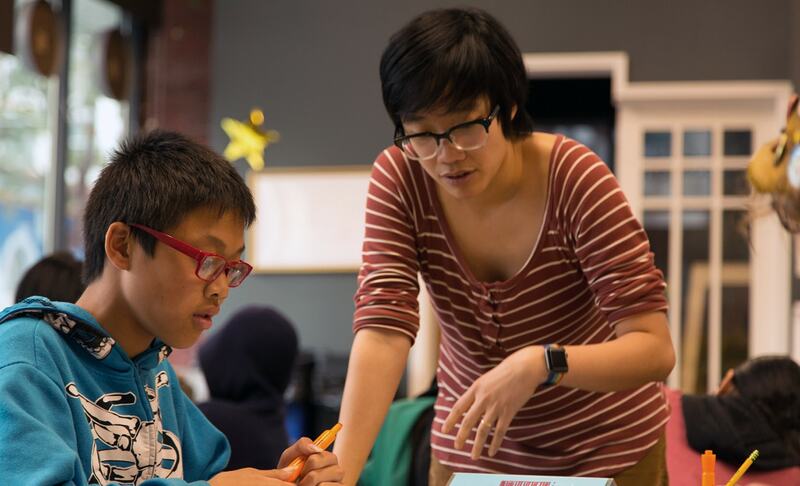 826 Valencia welcomes classes from local schools to visit our centers for a fun, creative day or morning of high-energy learning, at no cost to the teacher or school. 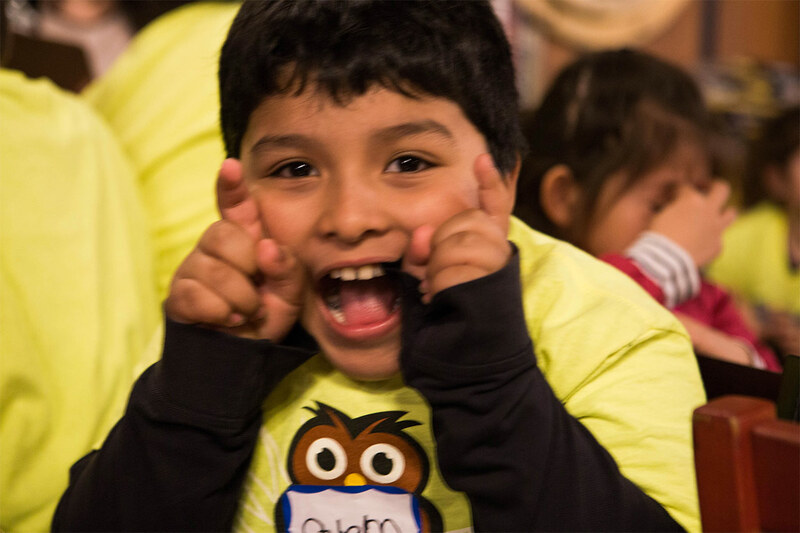 Due to the high demand for our field trips, we prioritize San Francisco public schools. Read on to learn more about our field trip offerings! On this field trip to our pirate ship on Valencia Street, students are charged with writing an original story as a group, with the help of our volunteers and our elusive head editor Captain Blue. Students collaboratively create the beginning and middle of their story, brainstorm a setting, and develop characters in small groups while an artist illustrates it. Each student writes their own ending to the story, and the completed stories are sent upstairs for Captain Blue’s approval. Each student goes home with their own copy of the book, complete with their photo on an “About the Author” page. This field trip teaches students about collaboration, brainstorming, and the elements of storytelling. It’s a great time for all! On this field trip to our Writing Lab on Valencia Street, students are charged with the task of writing an action-packed Choose Your Own Adventure story. After being introduced to the genre, students collaboratively create a vivid setting for the second-person narrator. As a class, they write the first page of the story – which must end with a choice. With the guidance of our volunteers, students follow all the twists and turns of the story and finish each story branch individually. Each student goes home with their own unique book, complete with their photo on an “About the Author” page. 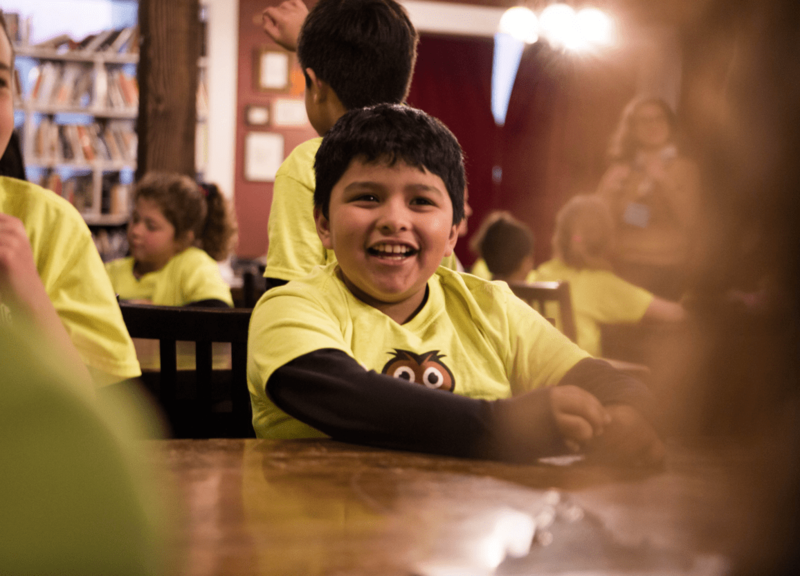 This field trip teaches students about collaboration and the elements of successful storytelling – with a focus on point of view and creative action. Hold onto your hat, because you never know where the story might take you! Request this field trip for the 2018-2019 school year. In this field trip, students reflect on their background, identity, and passions to craft a personal identity poem with descriptive and figurative language. During the trip, volunteer tutors support students as they learn about podcasts to write and record their own. Students also get the support of a teaching artist from the American Conservatory Theater (A.C.T.) in vocal and performance exercises before recording their stories. 826 Valencia then edits and produces the recordings, which can be shared with the world. Check out some examples on our SoundCloud page! This field trip teaches students about poetry, sensory details, presentation skills, and some basics of podcasting and sound editing. 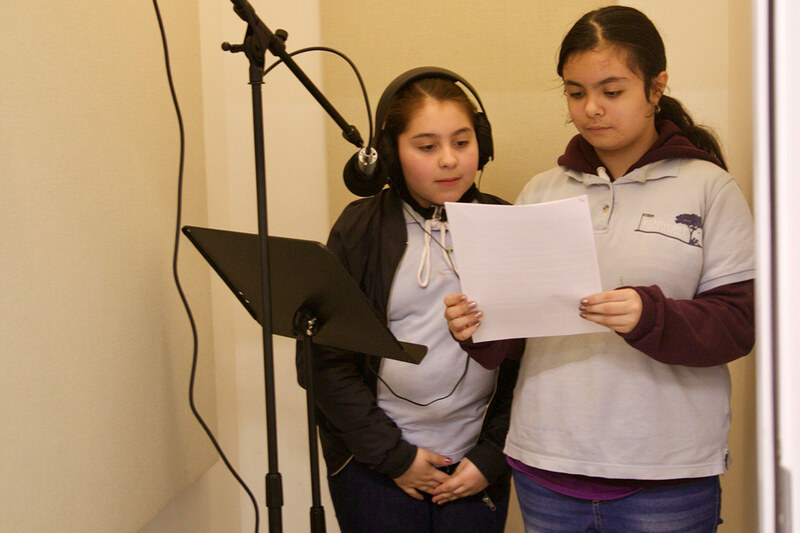 Bring your classroom content to life with a Podcasting Field Trip to our Tenderloin Center! During the trip, volunteer tutors support students as they learn about podcasts to write and record their own. Students will learn how to create a compelling introduction, write with specific details, and show the significance of their ideas. Students also get the support of a teaching artist from the A.C.T. in vocal and performance exercises before recording their stories. 826 Valencia then edits and produces the recordings, which can be shared with the world. Check out some examples on our SoundCloud page! 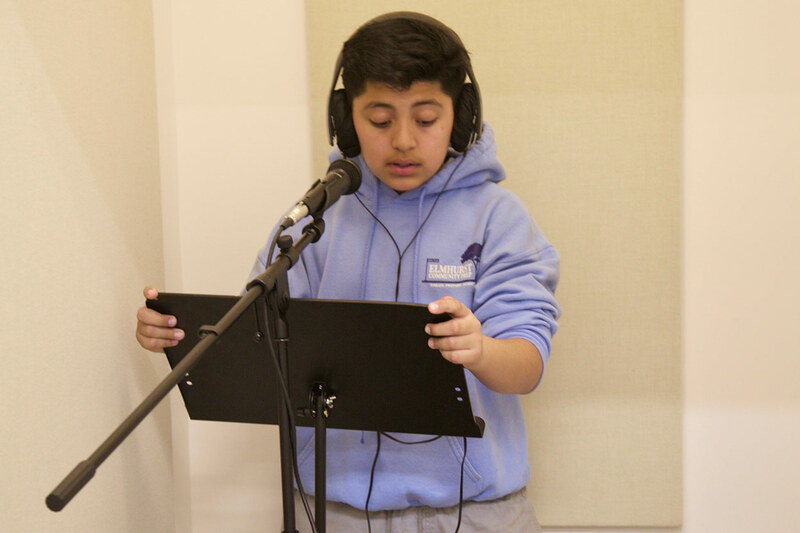 The field trip can be adapted to create a personal essay podcast, a personal identity poetry podcast, or we can help students revise, adapt, and record writing they’ve done in the classroom. This field trip teaches students about details and description, compelling storytelling, presentation skills, and some basics of podcasting and sound editing. You can see what the program looks like in action and hear firsthand about its effect on students here, in a fantastic short video made by Ms. DeRego from Herbert Hoover Middle School. I have recommended this program to all my teacher friends and will continue to do so! The support given to students with their writing, developing an idea, writing multiple drafts, and turning it into a podcast, truly does amplify their voices and is simply not something I would be able to do on my own in my classroom. If you’re tackling personal statements with your students, 826 Valencia can help! 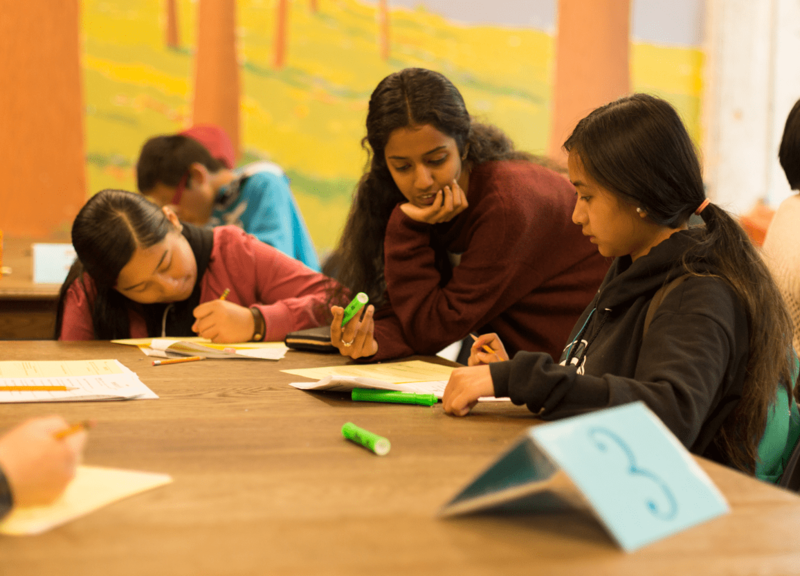 Bring your class to our Tenderloin Center, where volunteers will work with your students to develop their stories and experiences into concise, powerful essays. We are responsive to your students’ needs and where they are in the writing process, helping them to brainstorm and write a new piece or make meaningful revisions to their drafts. We can also offer special support on the new personal insight questions in the University of California application. By the end of this field trip, students will leave with a draft of reflective writing that shows their voices and strengths.